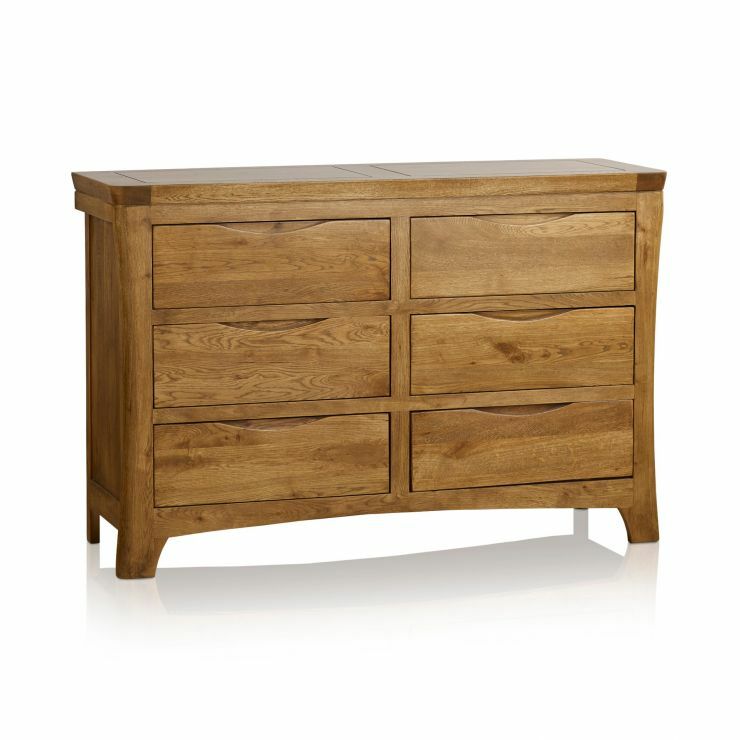 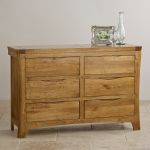 The Orrick Rustic Solid Oak 6 Drawer Wide Chest will transform your home with its rustically chamfered edges, rounded corners and sculpted handles. 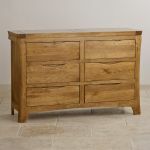 Designed to complement the Orrick Rustic Solid Oak Wardrobe, this chest boasts six generously-sized drawers to offer plentiful supplementary storage space. 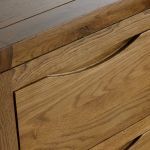 Only the finest cuts of A-grade solid oak are used throughout, with traditional dovetail joints on every drawer for exceptional strength and durability. 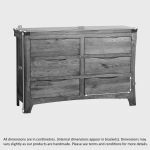 Ideal in the bedroom, living room or hallway, this exclusive piece will uplift your décor whilst putting an end to any storage issues. 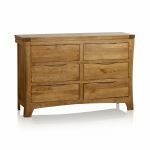 Why not take a look at the rest of the Orrick range for more items of matching solid oak furniture?